Amenities at The Gilbert include a mail room, bike storage, community lounge, fitness center, and a landscaped garden with a play area for children. Located on East 97th Street, the residences offer a mix of Manhattan and East River views. The developer opened a lottery two years ago for another affordable East Harlem building that sits next to The Gilbert. Draper Hall consists of 203 subsidized units for seniors earning between $0 and $38,200 per year. Nearest transit options include the 4 and 6 trains at 96th Street and Lexington and the Q train at 96th Street and Second Avenue. There is also the M15, M101, 102, and 103 buses available. 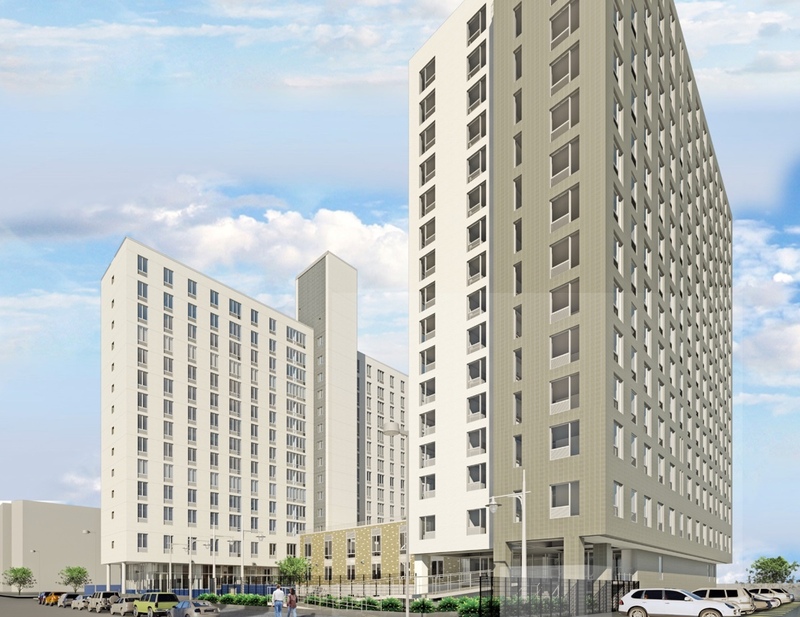 Qualifying New Yorkers can apply for the affordable apartments at The Gilbert on First until June 17, 2019. Residents of Manhattan Community Board 11 will be given preference for 50 percent of the units. Complete details on how to apply are available here (pdf).